Left to right, top: Officer Andrew McKinney – Part Time, Off. 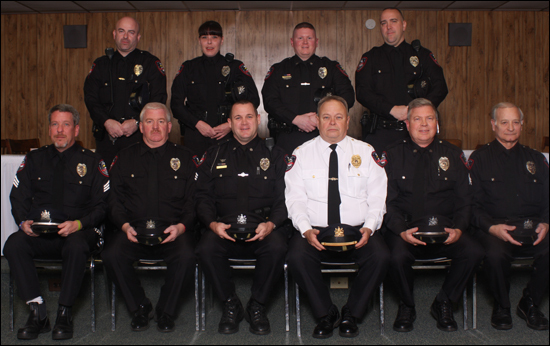 Sean Styers – Part Time, Officer Christian Caputo, Officer Francis Rich III – Part-time, Officer John Martin, and Officer John Chappelle. Clifton Heights Police Officers pose with Fox TV’s “COPS” host Sergeant John Bunnell of the Multnomah County, Oregon Sheriff’s Department. Photograph was taken in 1990 at the Alpine Inn, in Springfield – Delaware County at the Delaware County Police Chief’s Association annual banquet during which Clifton Heights Police Chief Ronald Berry was inducted as the President of the Association. 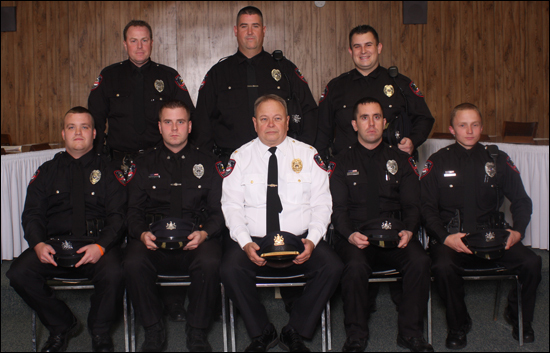 Left to right: Corporal Walter Senkow, Officer Stephen Brown, Sheriff John Bunnell of FOX TV’s “COPS”, Officer John Chappelle, Corporal Francis Rich and Officer Tim Rockenbach. Members of the police department in 1965. Photo of Chief Lou Valentine discussing a matter with then Mayor James Dicarlo at a Clifton Heights Borough Council meeting. In the foreground is Councilwoman Evelyn Hess, who later served as Mayor from 1977 through 1989 . This photo is estimated to have been taken between 1957 and 1967. This photograph is the old Borough Hall and Police Station previously located at 7 S. Springfield Rd., Clifton Heights, PA. This photograph is estimated to have been taken in the late 1940’s or early 1950’s. The police officer posing at the front doors has not been identified. The Borough Hall and Police Station were moved from this location to our present location at 30 S. Springfield Rd., Clifton Heights in approximately 1977. 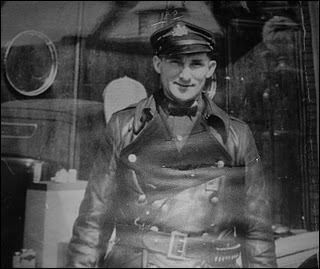 1930’s photo of Officer John Micken believed to be hired in the mid to late 1930’s. Hired by Clifton Heights Borough Police Department after being laid off from the Navy Yard during the Great Depression.